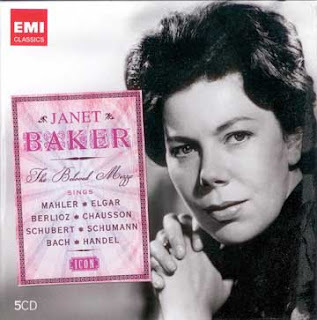 Janet Baker was born in Yorkshire in August 1933 and studied locally and then in London. In 1956 she made her opera debut in the Oxford University Opera Group and appeared for the first time at Glyndebourne. Gaining much experience with the Handel Opera Society and English Opera Group she made her debut with the Royal Opera in 1966. She became a favourite artist there, Glyndebourne and with Scottish Opera. Her voice was noted for its dramatic intensity and with her vivid stage personality she was an outstanding singing actress. These qualities she was able to transfer to recordings through her utter conviction and intense projection of the words. 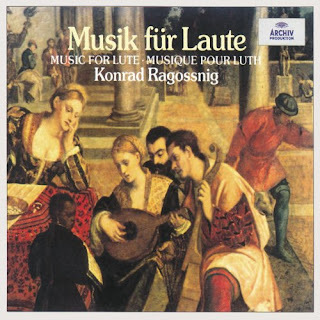 Her musical range was enormous, from Lute Songs through Monteverdi and the Baroque right up to the works written especially for her by composers such as Britten and Walton. Although she made many remarkable recordings it is probably those made with Sir John Barbirolli, especially Elgar and Mahler, which feature on so many people’s choices for “Desert Island Discs”. She was awarded D.B.E. 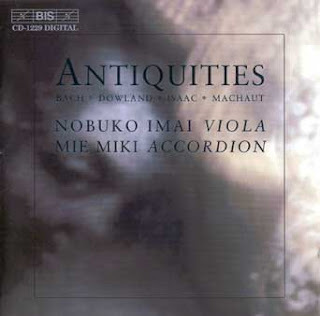 in 1976, the Royal Philharmonic Society Gold Medal in 1990 and made a Companion of Honour in 1994.